M42, the Great Nebula. This is my third session with this great nebula. I don't know what caused the artifact at the bottom of the image. Scope and f/: Celestron C8 with reducer/corrector at f/6.3. 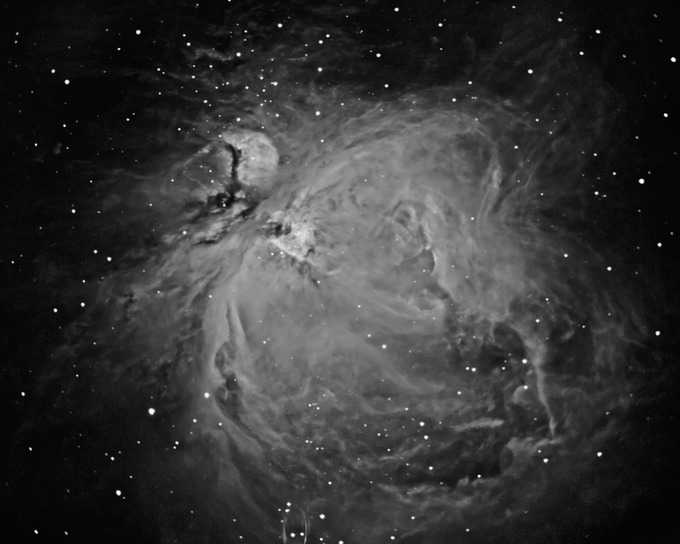 Number of sub-images and exposure: 20 x 2 minute, 20 x 4 minute, 8 x 15 minute.